Redmond’s salt block is an all-natural salt extracted from deposits of an ancient seabed. It contains more than fifty trace minerals. The minerals in Redmond salt can help restore the natural mineral balance in livestock. 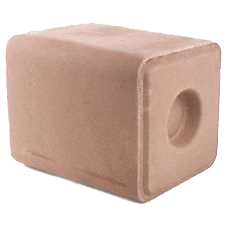 Feed Redmond salt block as a free choice mineral supplement. Side by side choices, animals always prefer Redmond to any other brand. For more information, see the product label pdf.